This article explains how to setup a 13th fiscal period in Great Plains and Management Reporter to record year-end adjustments and report on them. 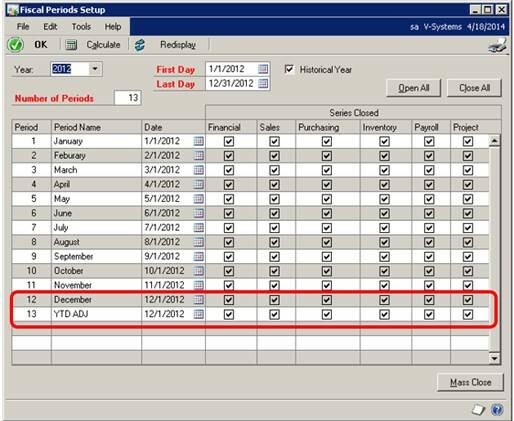 The 12th and 13th periods will have the same date (12/01/20XX) in the Fiscal Period Setup window. 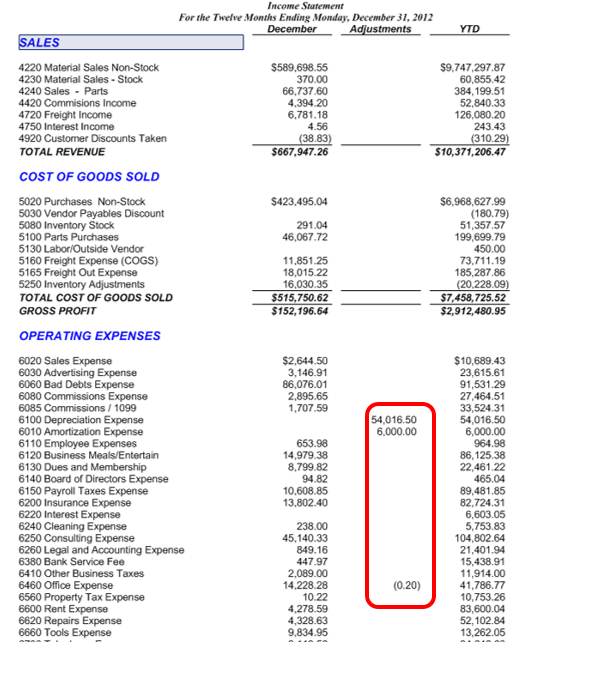 This provides the ability for you to record year-end adjustments. Here is an example of the period setup. You will notice that Management Reporter only shows 12 periods in the drop-down when selecting the base period to run the report. This is because the last two periods of the fiscal year end on the same date. 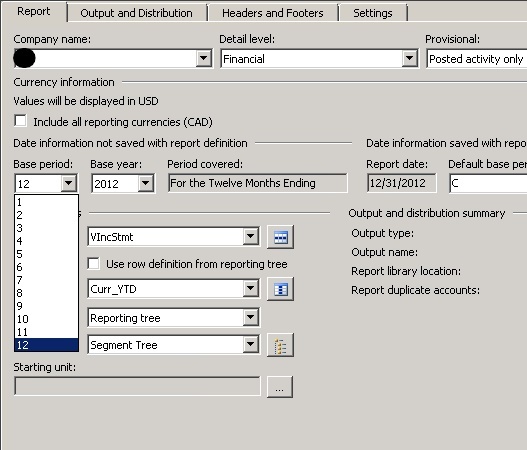 Management Reporter automatically combines these two periods and reports as the first of the two periods. The workaround for this issue is to use Column Restrictions in the Column definition. The ADJ Column Restriction only reports adjustments to that period. 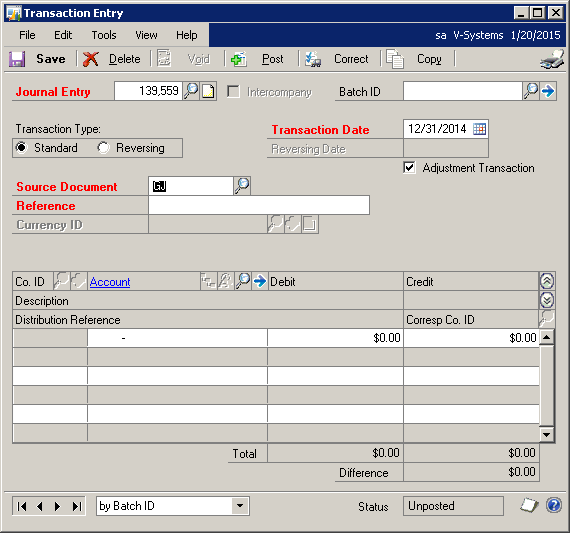 The XAD Column Restrictions reports all the data except adjustments to that period. In the example below the 12th and 13th periods are separated by using the ADJ and XAD Column Restrictions. When running the report for the 12th period you will see the adjustments broken into a separate column. When generating the report for any other period you will not see the Adjustments column. If the last two periods of your fiscal year end on the same date, the data of these two periods is combined and reported as the first of the two periods. For example, you have set up period 12 and period 13 so that both periods end on 12/31. All data for these two periods is reported as period 12 data and period 14 data is recorded as adjustments to period 12. 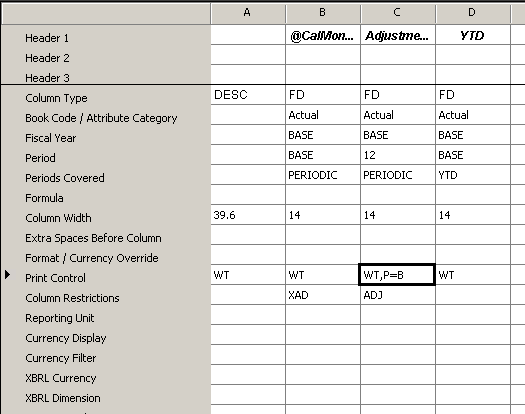 If you want to separate the data for the two periods, you must use column restrictions when you create Column Definitions. If the Adjustment Transaction box was not marked prior to posting through the GL, you can run the following update statement in SQL to correct.